Today’s DIY is one that I absolutely love, just like every other DIY I do! If you’re like me and have tiny wrists (5 inches in diameter), finding bangles that don’t fall off your wrist is a hassle. 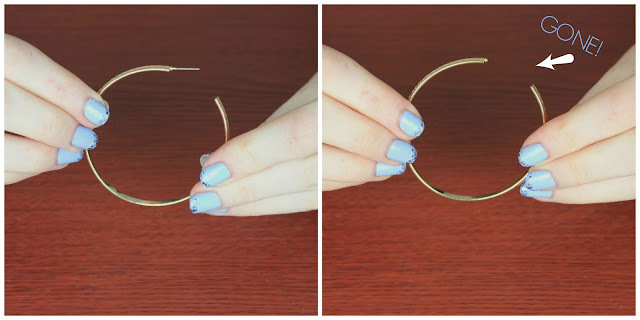 So here is a tutorial to make your very own bangles made from none other than earrings! You don’t have to have tiny wrists to make these, they are definitely adjustable depending on the earrings you use! I purchased a pair of hoops at Forever 21 for only $2.80! So cheap! Remove the metal piece that attaches to your ear. 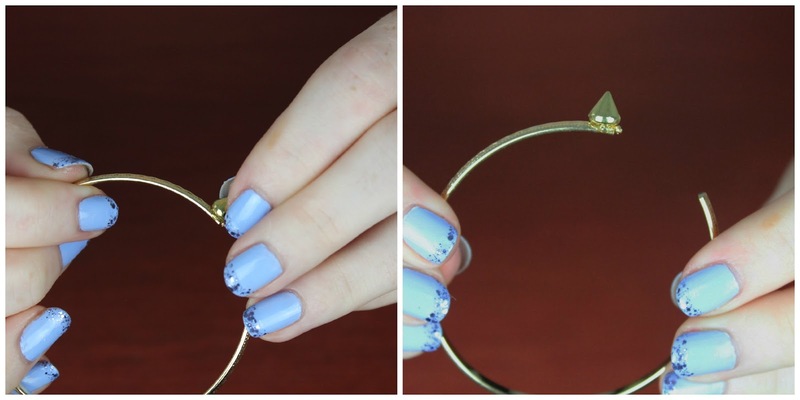 If you buy a different version of hoop earrings, make sure you remove all the metal pieces so you have a plain hoop like the one pictured. Next take some small spikes and E6000 glue and start to glue the spikes on the opening of the hoop. 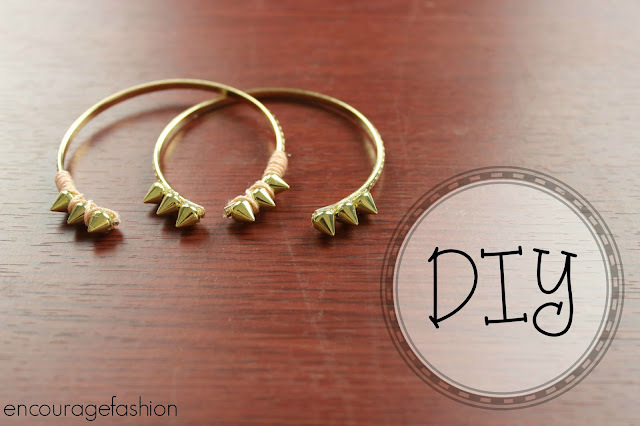 Optional: Wrap some embroidery floss around the spikes and a little down the bracelet to add some color! I dabbed some glue at the opening then wrapped it around. Once I got to the end of the one side I turned around and wrapped back to the start and glued it down! I absolutely love how these turned out and cannot wait to wear them! If you make anything similar share them with me on Facebook or Twitter or even Instagram! Don’t forget to follow me on Bloglovin’ for more DIY and fashion.